The SIP Tempest Petrol Pressure Washer has a KOHLER HD 7hp petrol engine and has a maximum of 2175psi. Max Output 570L/hr and is fitted with a 4.1L fuel tank. Fitted with a brass head axial pump. 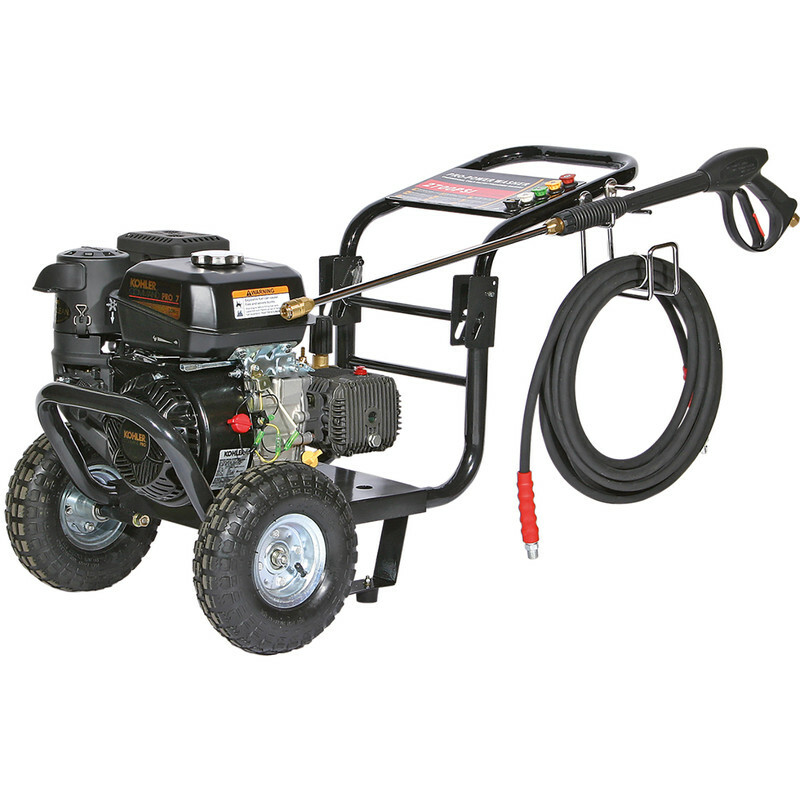 The pressure washer comes with heavy duty pneumatic wheel, 5 interchangeable nozzles and a 8m heavy duty hose. Built and tested within the UK.